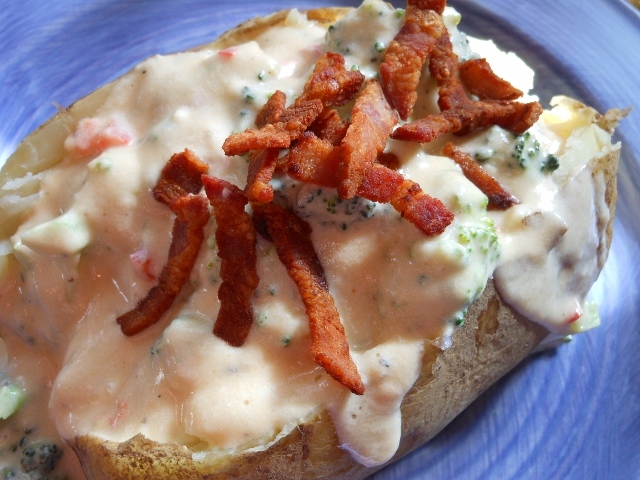 I bought a couple of huge baking potatoes today and decided to make us a stuffed potato for lunch. I thought a broccoli soup of sorts would be perfect and it was. I chopped my bacon before cooking it but crumbled cooked bacon will work lovely too if you happen to have some leftover bacon waiting to be used. I microwaved my potato today but feel free to cook them however you prefer. 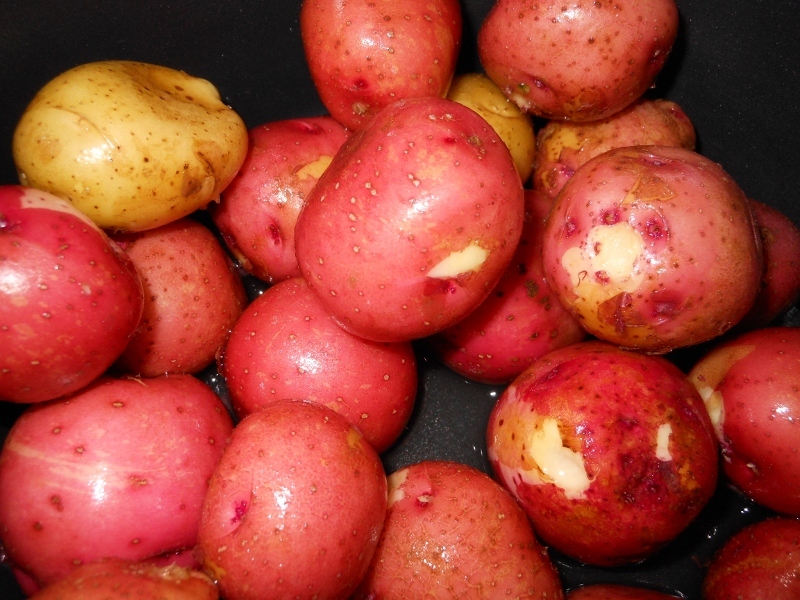 Cook potatoes and set aside. Meanwhile, cook bacon until crispy. 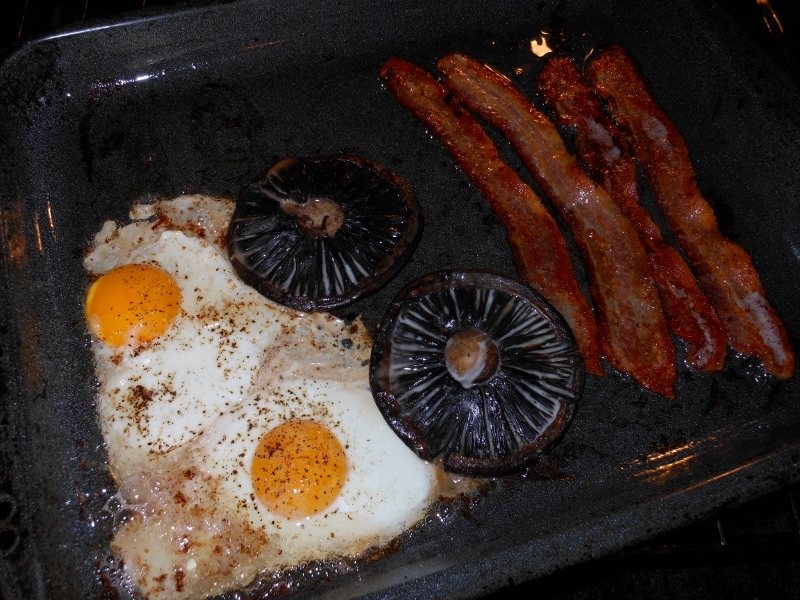 Set aside reserving about 1 Tbs of bacon fat in skillet. Add flour to bacon fat, stir and cook for about 1 minute. Add milk and stir until thickened. 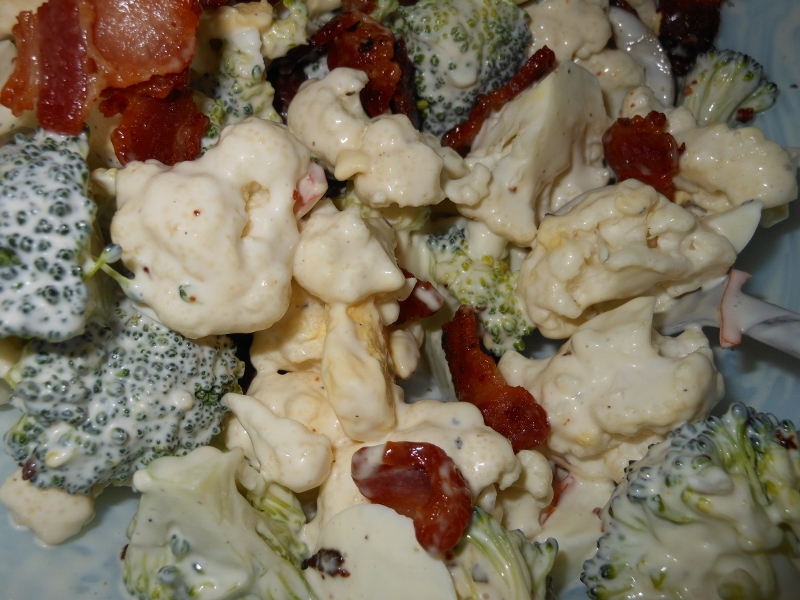 Add broccoli, jalapeno, salt and pepper. Cook for about 4 minutes until broccoli is desired tenderness. Stir in cheddar until melted; add sour cream. 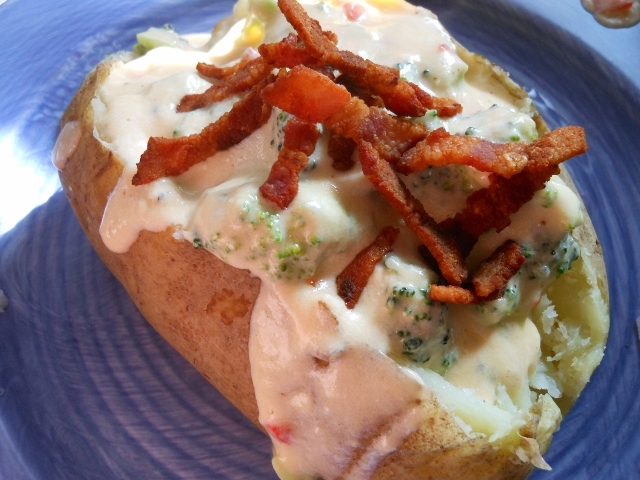 Serve over 2 giant baked potatoes or 4 small ones and sprinkle with bacon. For some weird reason I had an urge for some chicken livers. Not usually something I would crave; I decided to go with a rumaki of sorts. I had opened some of the red hot sauce Charles had canned and thought this would be great for a sauce and marinade. A chili sauce might work nicely too. 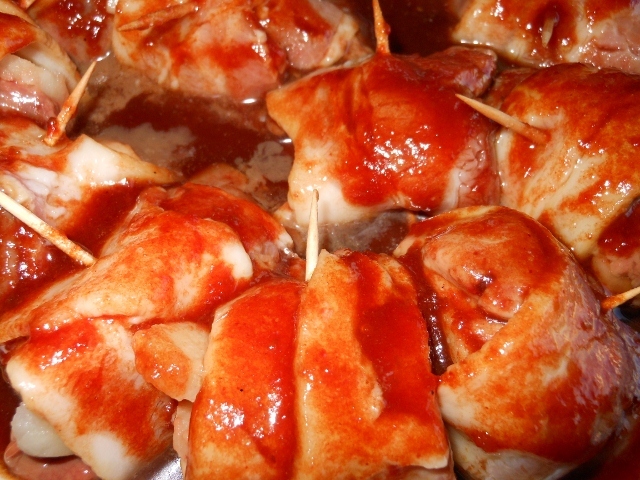 I’ve also seen versions that use a teriyaki and ginger combination so go with some kind of sauce you really like and follow the techniques below. 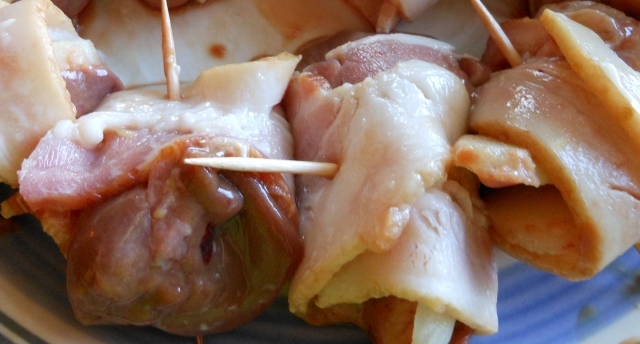 Cut bacon and any large livers in half. 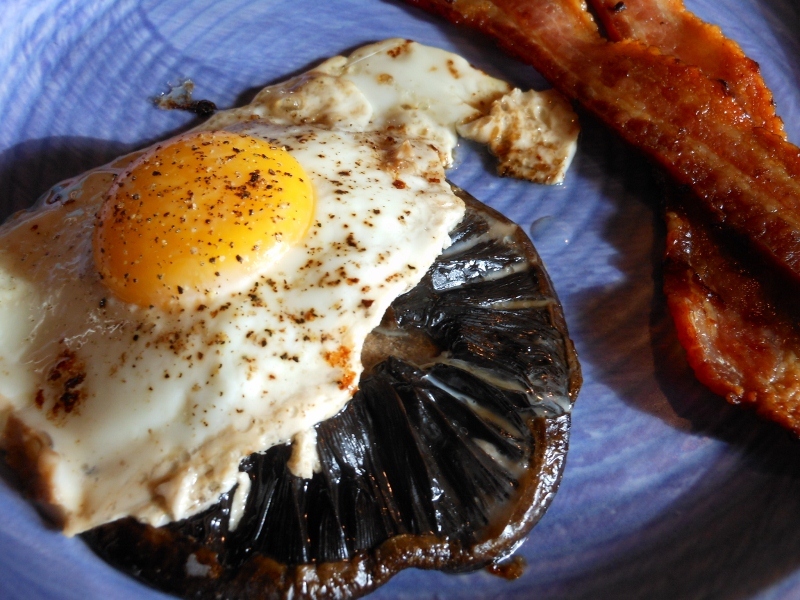 On each half slice of bacon stack a slice or two of water chestnuts and a chicken liver. Wrap bacon around and secure with a toothpick. Mix together sauce and brown sugar. 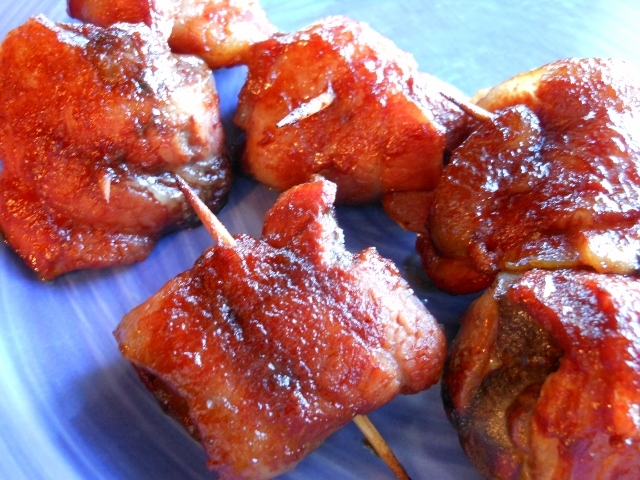 Pour over bacon wrapped chicken livers and marinate for at least 30 minutes. Discard marinade and spread livers onto a foil lined baking sheet. 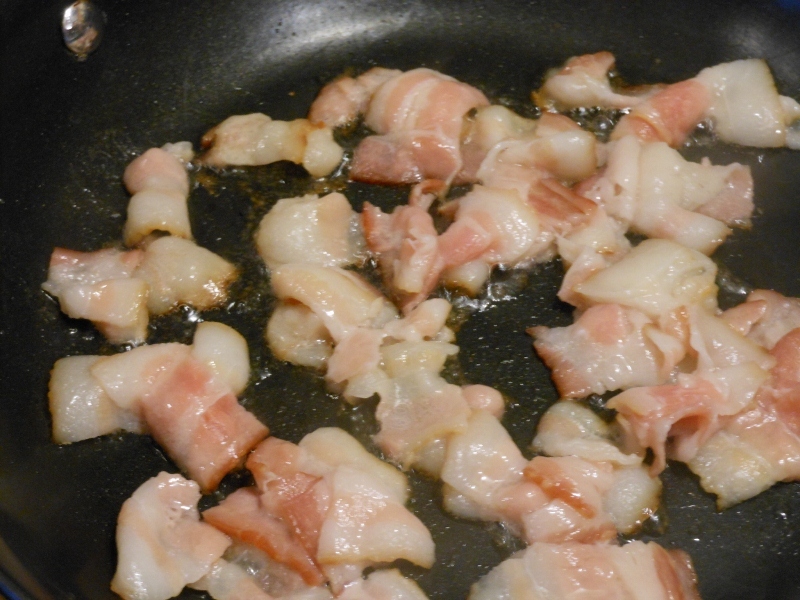 Bake at 375 degrees for about 25 minutes; broil for a couple of minutes if desired to crisp up the bacon a bit. I made another batch of the red hot sauce and brown sugar mixture and served as a dipping sauce. 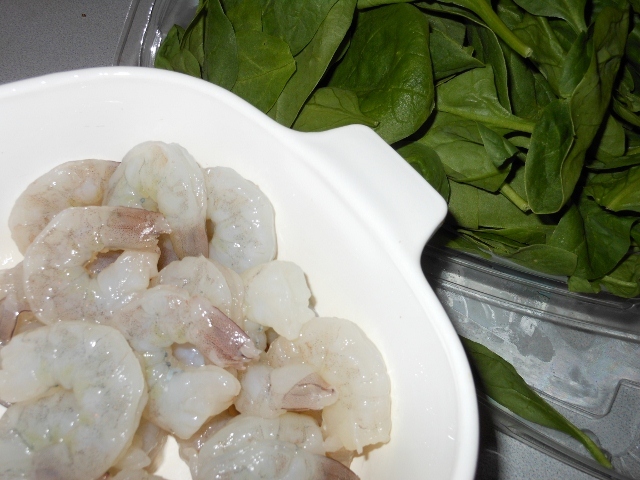 I was fixing a quick shrimp dish for Charles’ lunch tomorrow and I thought some bacon and spinach would be great. 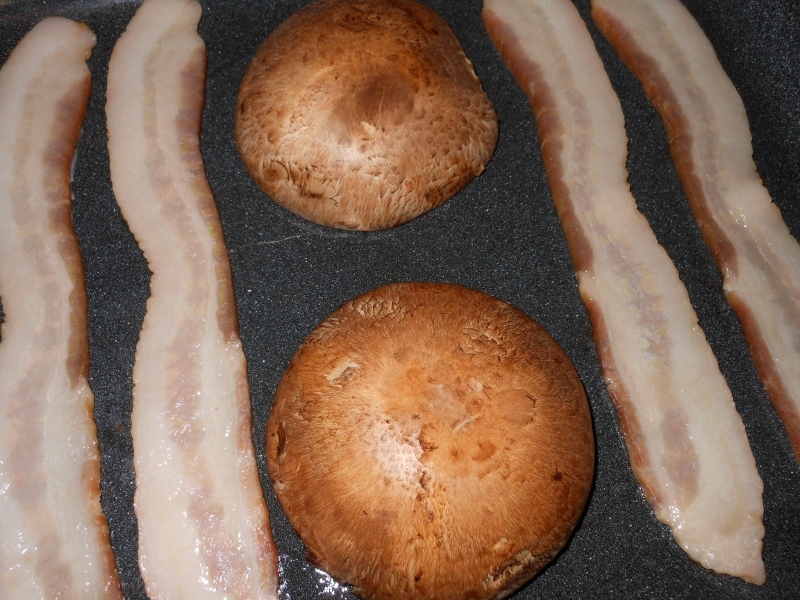 So I got to cooking; I needed some bacon fried for breakfast anyway so that would be easy and something different. 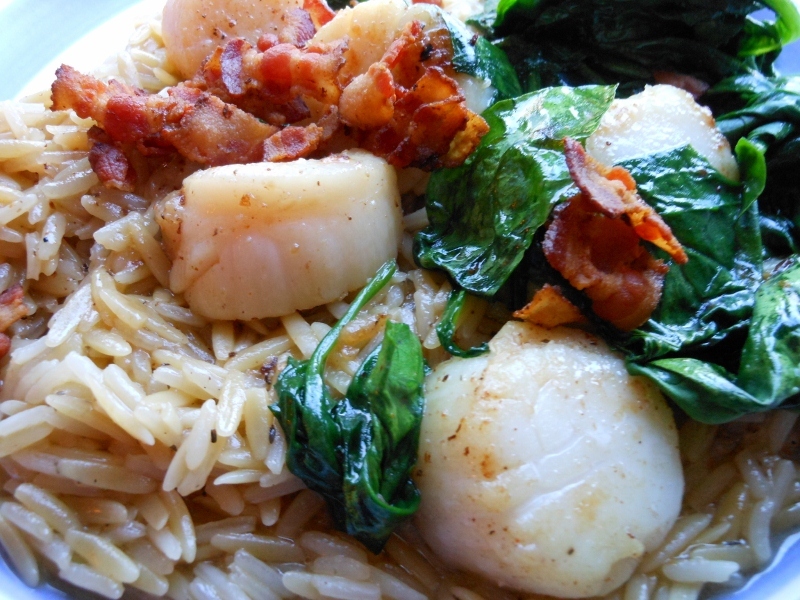 I get done, I eat my share of it, and I pack up the rest only to remember a few days ago I posted scallops with spinach and bacon …. so it really wasn’t so creative and exciting after all! It’s been a long weekend so I am going with this for my post anyway. 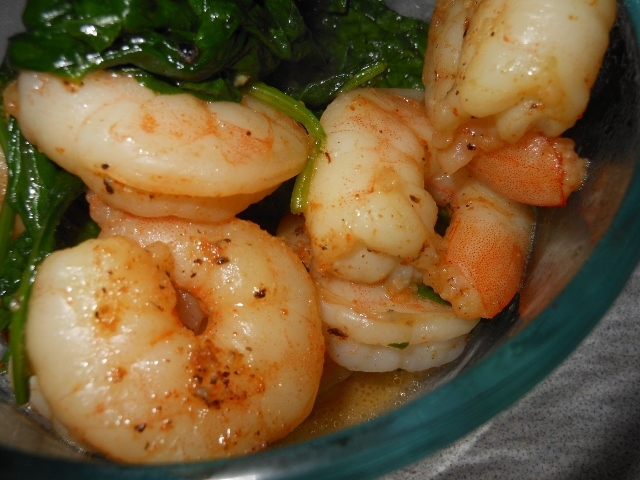 It is a bit different from the scallops dish and who doesn’t enjoy another fast shrimp recipe. Heat bacon fat or butter in large skillet over medium heat. 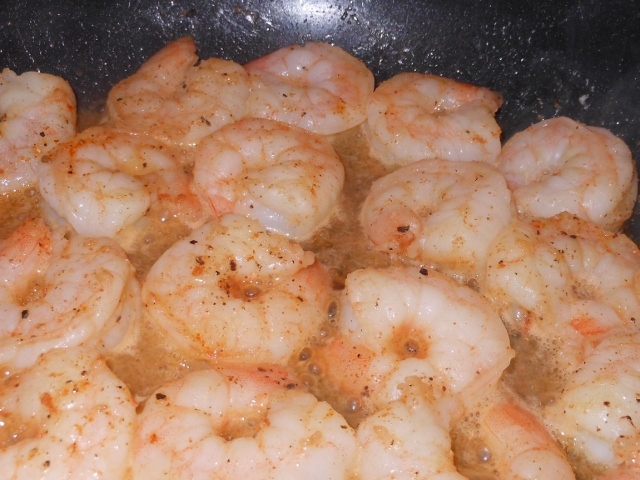 Add shrimp and season with cayenne, garlic, salt and pepper. Cook for about 2 minutes and flip shrimp over. 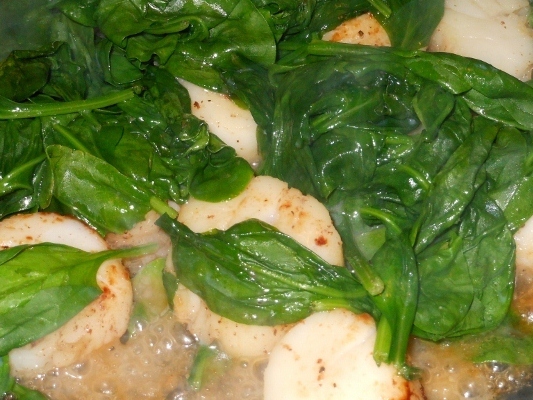 Cook 1 – 2 minutes longer; add spinach on top; cover and steam for about 2 minutes. 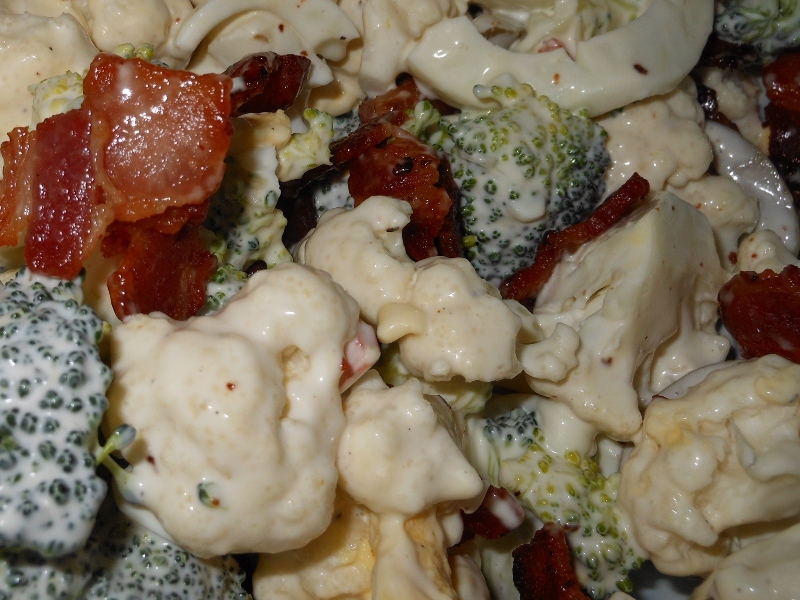 Toss together and sprinkle with crumbled bacon. 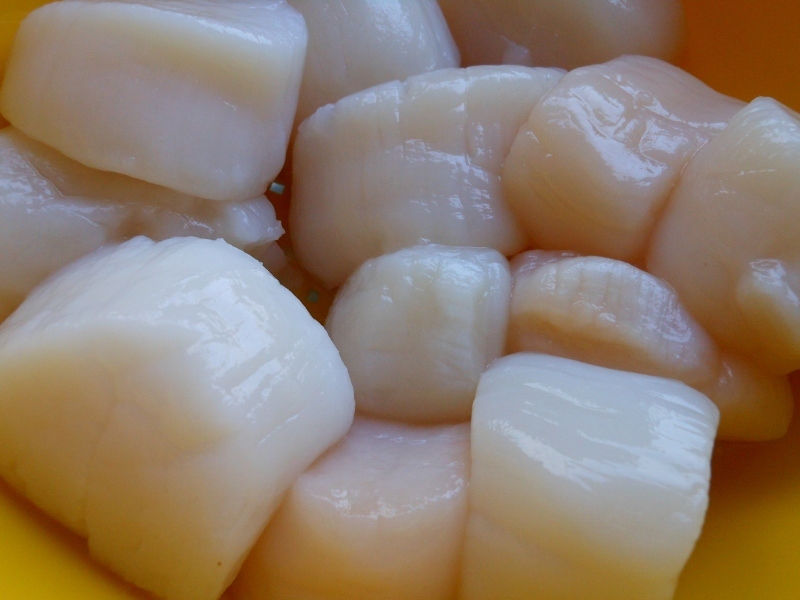 I made some quick and easy scallops tonight. 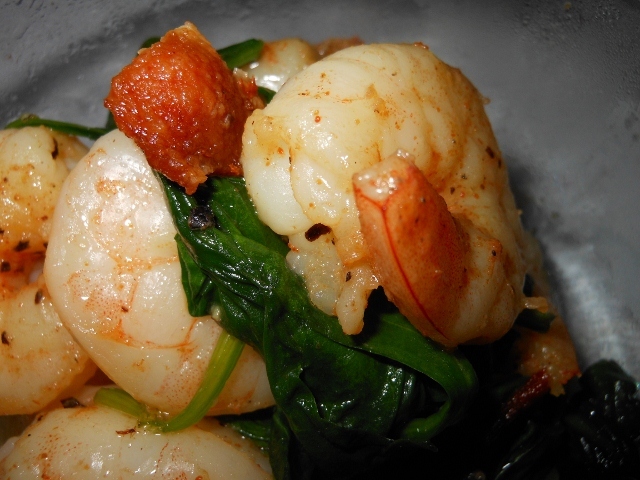 Very rich and delicious; bacon and spinach go so well with seafood. 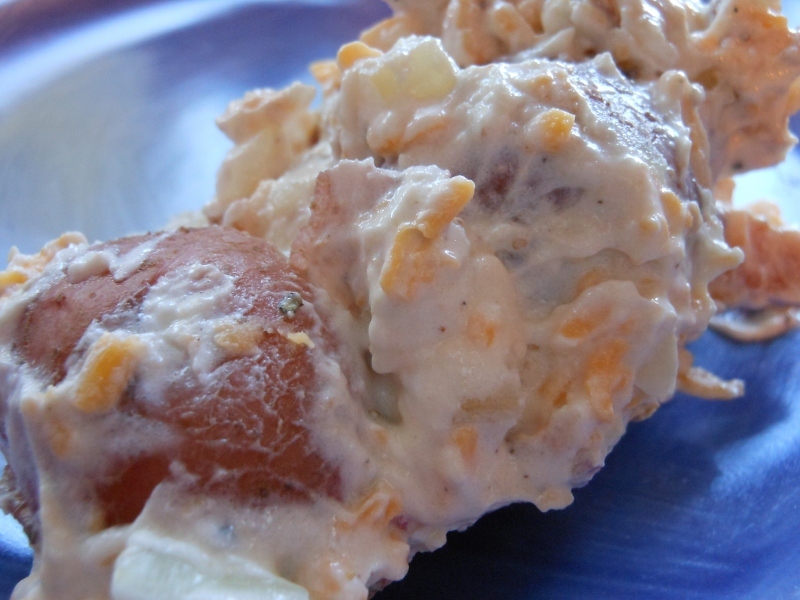 I served it over a combination of rice and orzo and had some crusty bread on the side. It could have used some herbs perhaps but the simple salt and pepper combination worked well while letting the flavors stand out on their own. 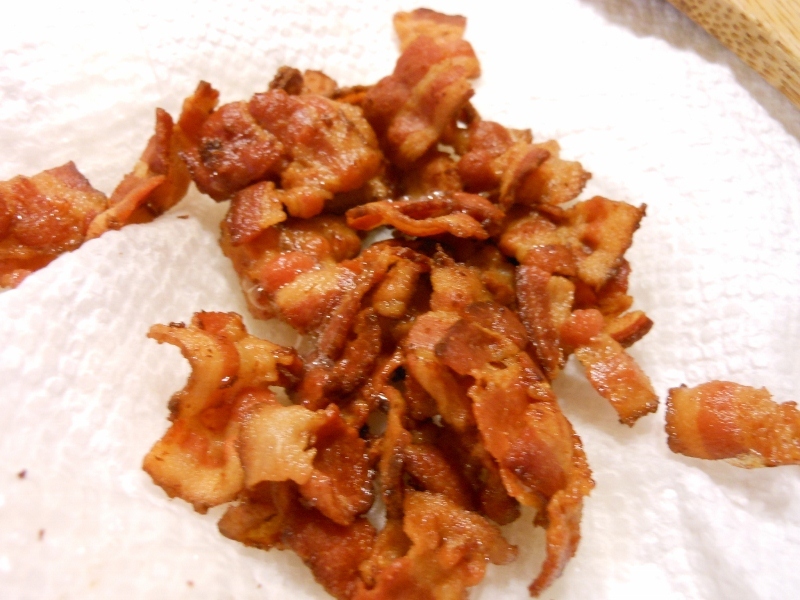 Cut bacon into small pieces. Fry over medium heat until crispy about 5 minutes. Reserve bacon grease in skillet. 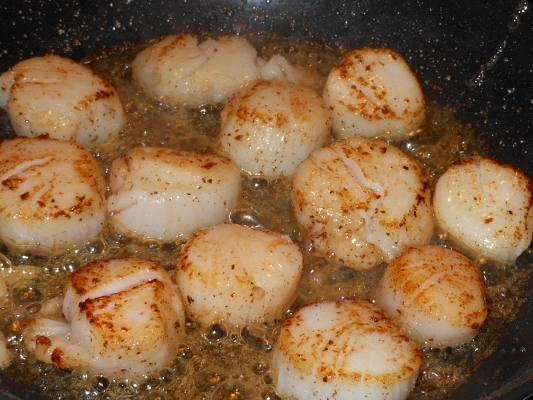 Drain scallops well and heat bacon grease over medium high heat. Add skillet to hot bacon fat and sear on one side for 2 minutes. Sprinkle with salt and pepper. Flip over scallops. 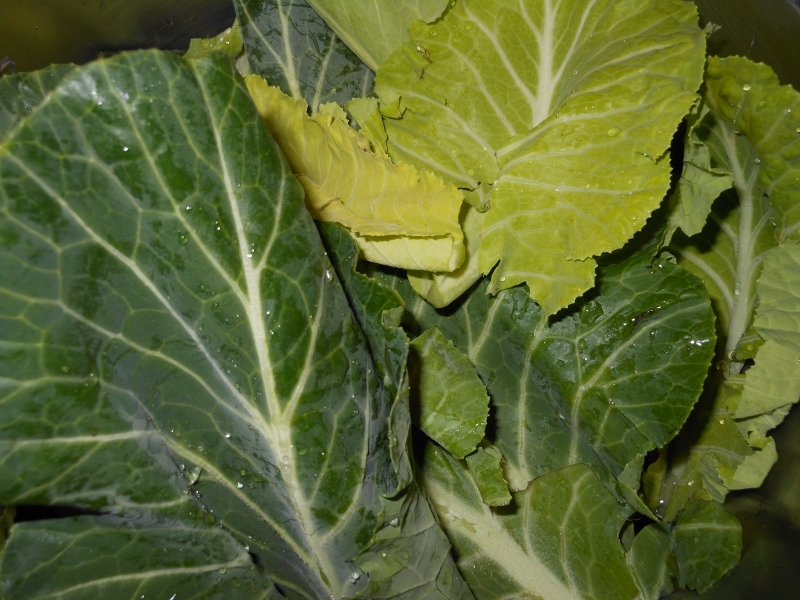 Top with spinach; cover with lid and cook for an additional minute or two. I have never been a huge green olive fan but for some reason this salad is irresistable. I used martini olives marinated in dry vermouth. I think this brings out the best flavor; Spanish Queen Martini Olives marinated with Dry Vermouth to be even more precise. 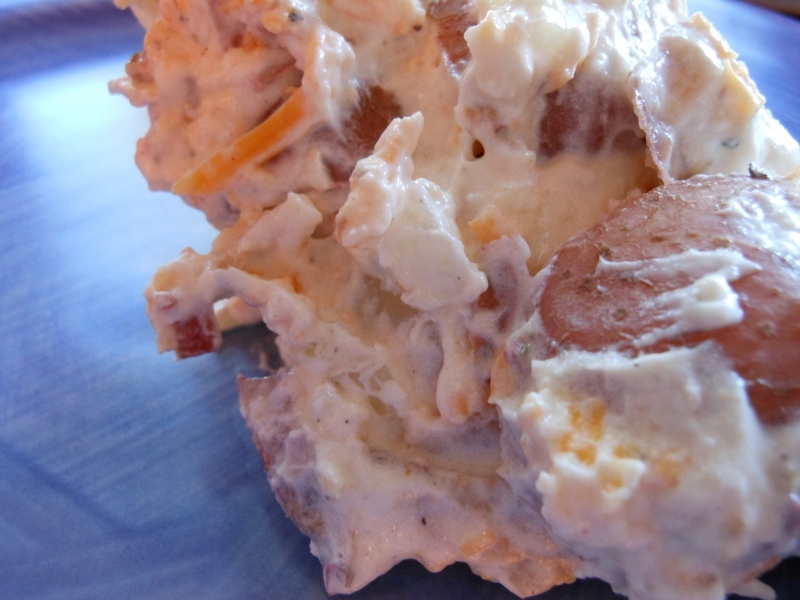 It’s definitely a salty salad; but a nice change from the usual picnic salads when planning a cook out. 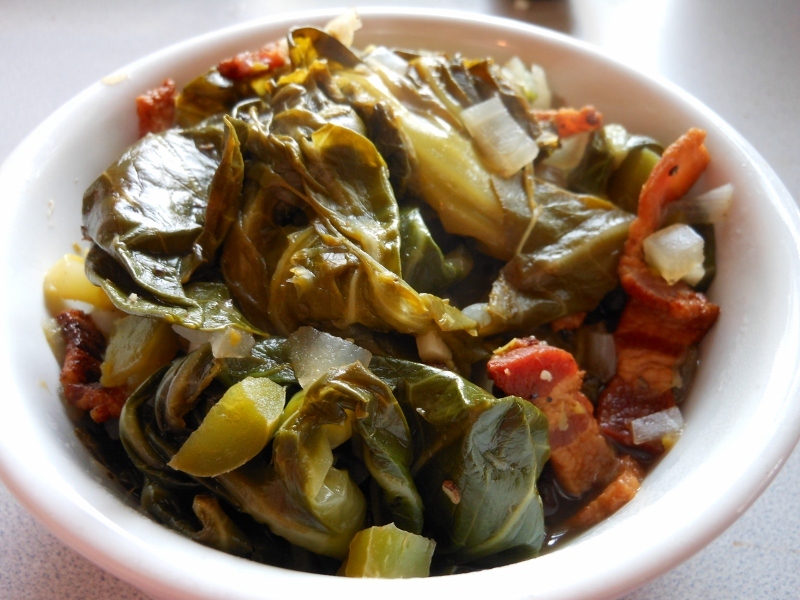 Mix together all ingredients in large bowl; I like to toss in bacon just before serving. Serve immediately or refrigerate until ready to serve. 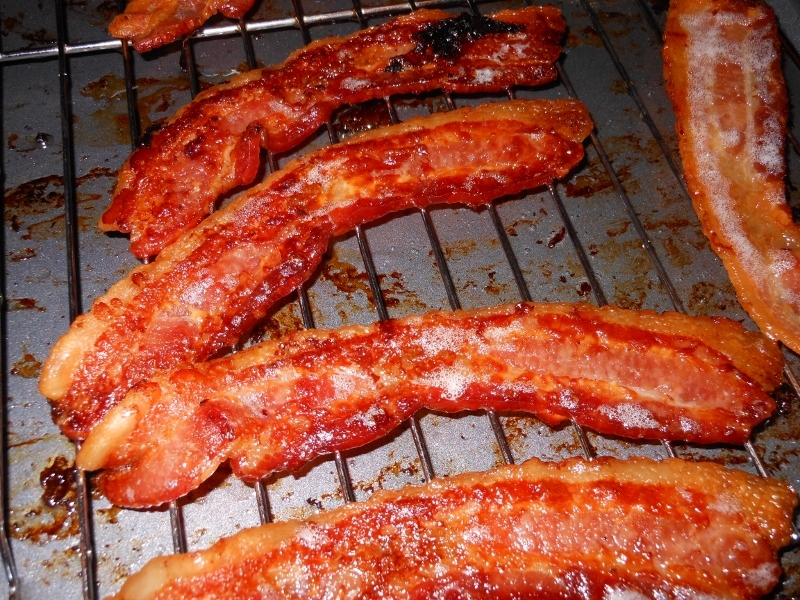 Bakin’ Bacon ~ perfectly baked bacon every time! 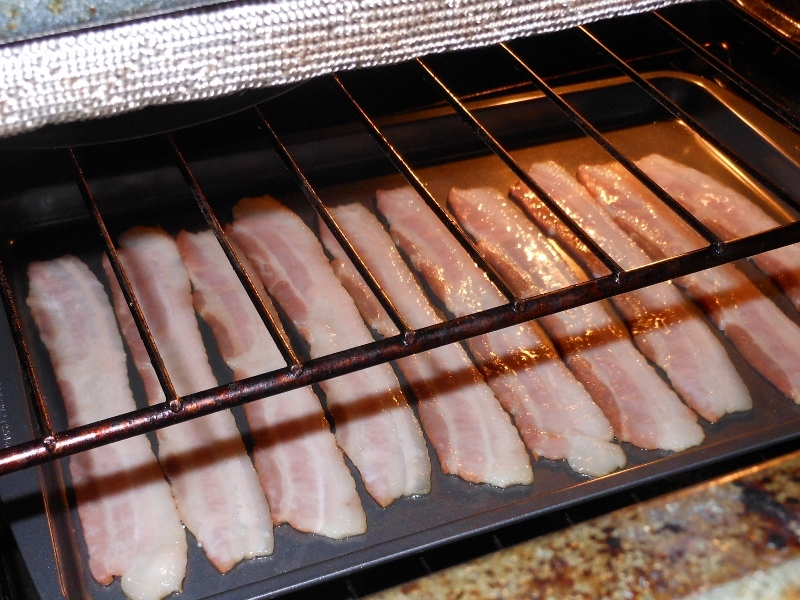 My favorite way to cook bacon is in the oven. 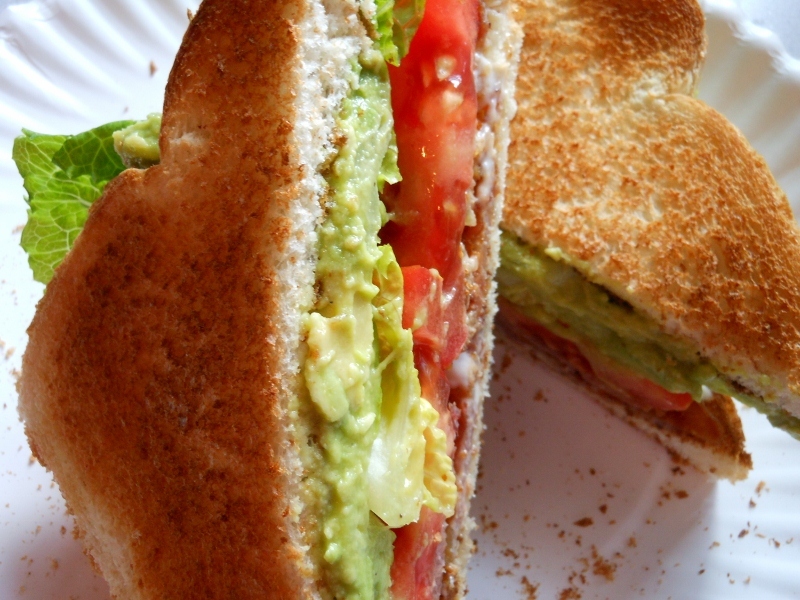 It’s easy, less messy, and oh so yummy. 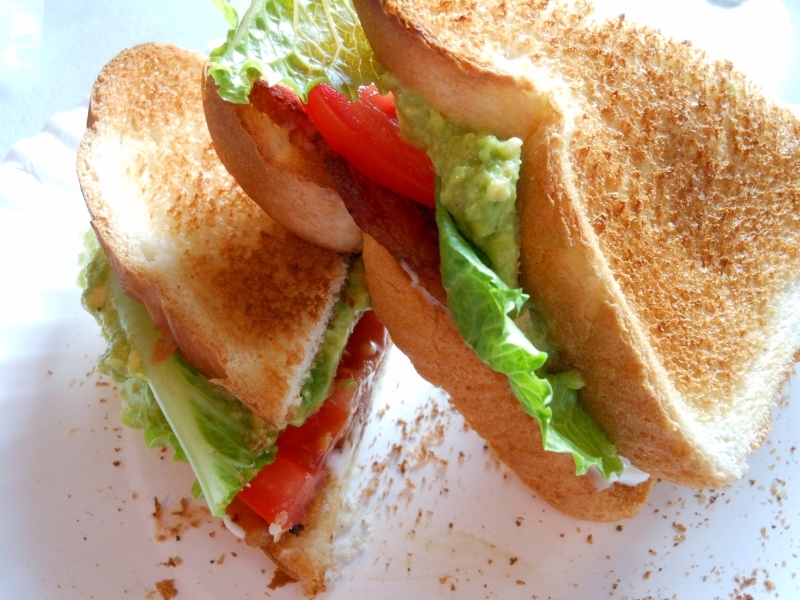 In fact by baking bacon you can help keep those slices flat and evenly cooked. 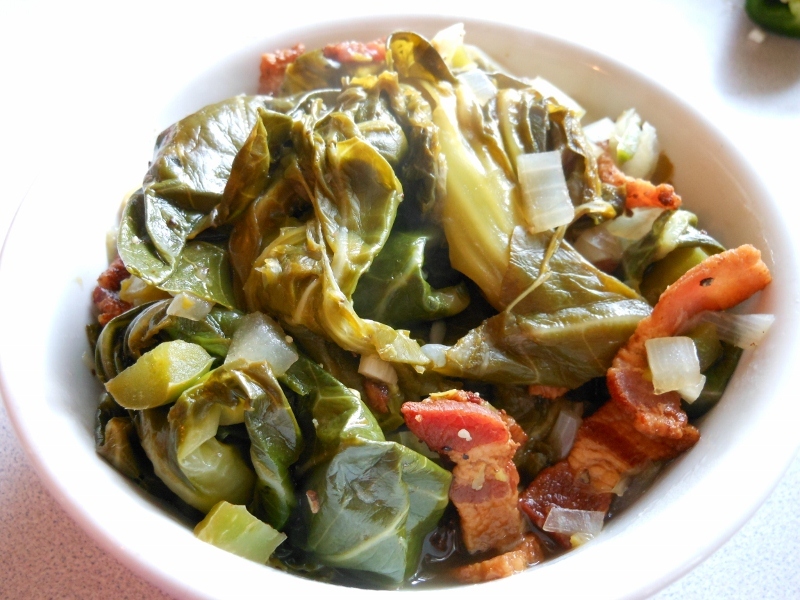 We used thick cut applewood smoked bacon on this particular day. I baked it at 350 degrees for about 20 minutes. Flipping over after about 10 minutes and then again after about 7 or 8 minutes more. 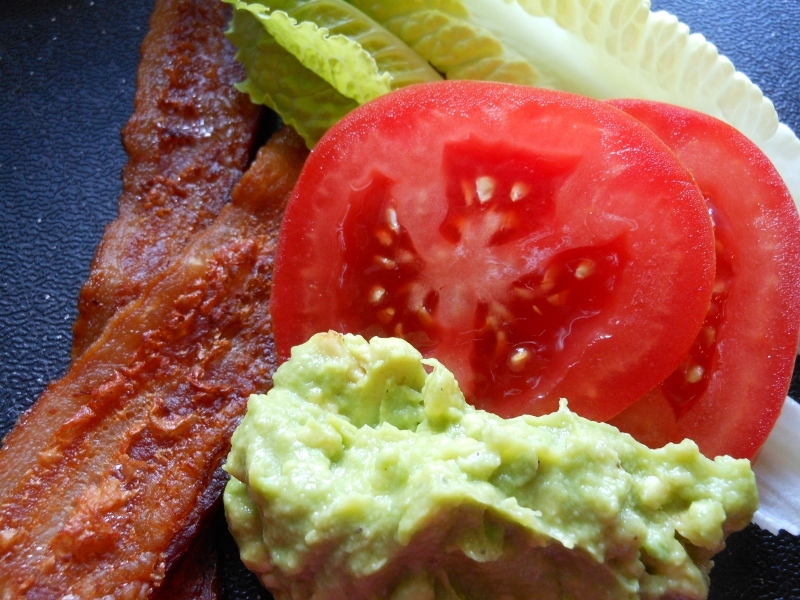 Bacon is fairly forgiving. I wouldn’t go over 400 degrees when baking and 325 would be the minimum. But you can adjust the temperature as needed and time accordingly if thicker or thinner sliced. 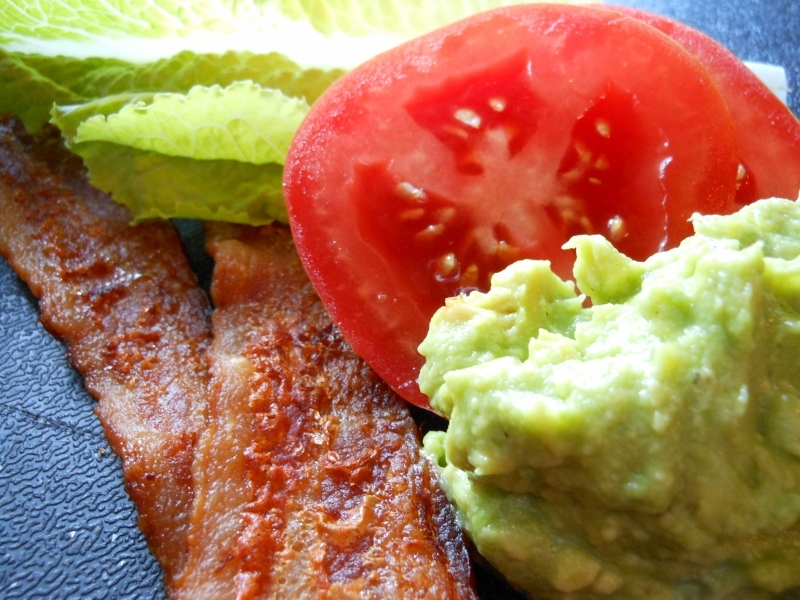 Give it a try next time you need some bacon cooked. 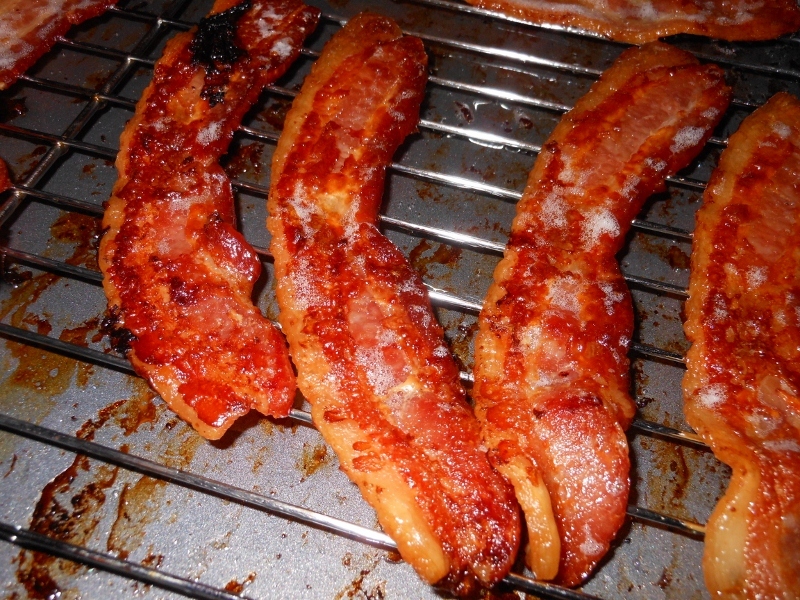 In fact I have a habit of throwing the bacon in the oven on Sunday mornings before I hop in the shower; if you find it’s taking a little long to cook just bump up the temperature by about 25 degrees at a time and get sizzling.